More and more people are choosing to socialise with friends and family in their homes, it’s cheaper, more intimate and safer than a night on the town or out at a top restaurant. Modern homes are being designed with this in mind and where possible provide space for entertainment areas with a home bar. No longer considered a man cave or a male-only domain traditionally cluttered with sport’s paraphernalia and pub memorabilia, the home bar has been elevated to and welcomed into the home’s living space, shared by all. Whether you take it straight, double or ‘virgin’, a home bar is a place for great conversations and loads of laughter; a place where the company outweighs all else. 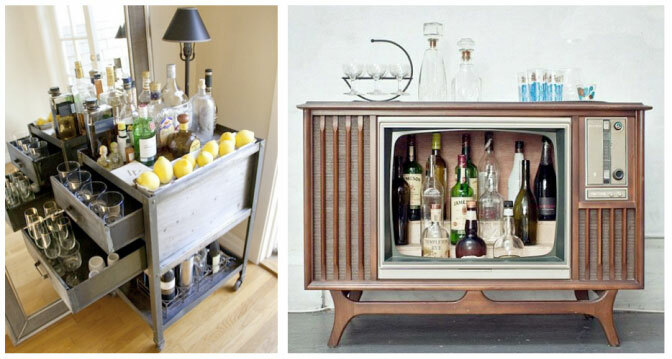 Not all of us are fortunate enough to have the luxury of a dedicated built-in home bar come entertainment area such as the example below, so we need to get creative. 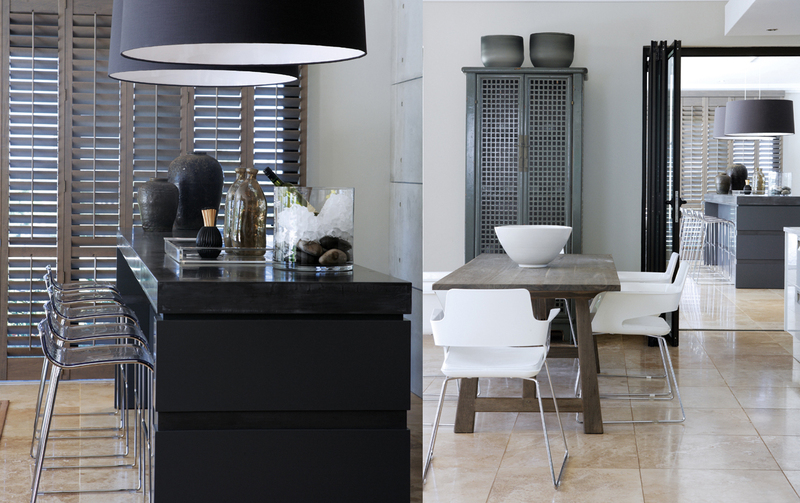 By its very purpose, the home bar is flexible; it is more about the stock and the guests than the space it occupies. 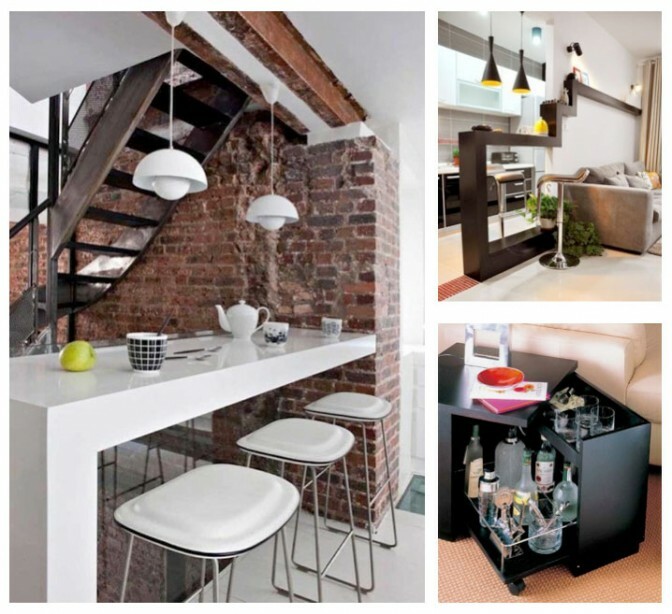 Smaller homes offer unique spaces that with a little untraditional thinking can be converted into a functioning home bar. Whether it is tucked under the stairs, functioning as a room divider or kept neat and tidy in the belly of a furniture piece, anyone can find the space to host the popping of a cork. As flexible as it can be, it can be just as mobile. Take the concept of a drinks trolley and wheel it into another realm completely. Kitted out, sleek designs and retro repurposing of old furniture pieces cater for tastes as diverse as a cocktail menu. Turn down the clichés of soggy cardboard coasters, sad looking football scarfs and cheap branded give-away glassware, rather add some flavor with unique items that give the home bar character, class and serve to stimulate conversation. Although, no longer a male dominated space, the home bar still looks a little like a drag queen when decked out with fabric curtains, soft furnishings and in a soft colour palette. Rather choose to enhance the strong lines, angles and function of the space with finishings that do not compromise its integrity but also add elegance, sophistication and class. Shutters are ideal for the home bar, perfectly balancing the energy for a unisex space that welcomes rather than serves as a bouncer. Easy to control light and ventilation, shutters help make the area as comfortable as possible and are perfect as room dividers in an open plan living area for occasions when the home bar needs to be separated from other family activities. 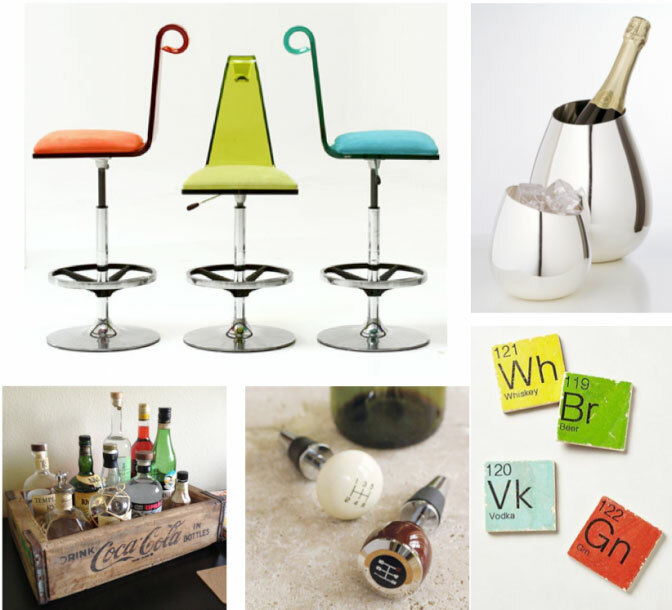 So let’s raise a glass to the home bar; where mixing drinks and good company is the perfect recipe for fun. Need some more inspirational ideas for your living room shutters why not see more in articles here.